Since 1837, the Retreat Farm has been a source of food and fuel, productive work, nature-inspired restoration, knowledge, recreation, and innovation. The Farm is located in the heart of Brattleboro and Windham County, the principal gateway to the Green Mountain state for travelers from New England and metropolitan New York. 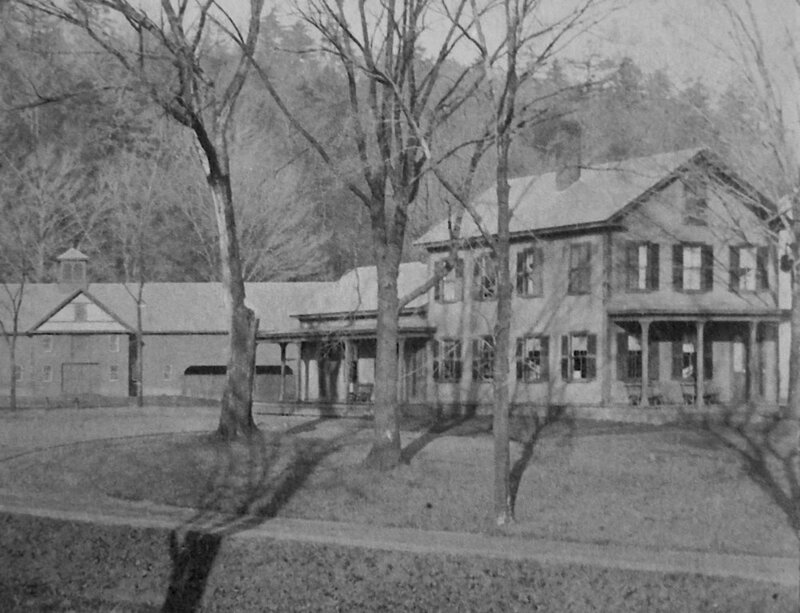 The Farm’s establishment in 1837 came within a year of the founding of the Brattleboro Retreat — the first mental hospital in northern New England, the fifth in America to offer “humane treatment,” and the first anywhere to operate an Asylum Farm, a model followed by the leading mental institutions of the 19th century. From its beginning, the Farm provided food, fuel, occupational therapy, and activity in nature for the Brattleboro Retreat community. The Farm’s dimensions and program breadth grew through its first century, its dimensions covering ultimately more than 2000 acres of farm fields and trail-traversed forest. 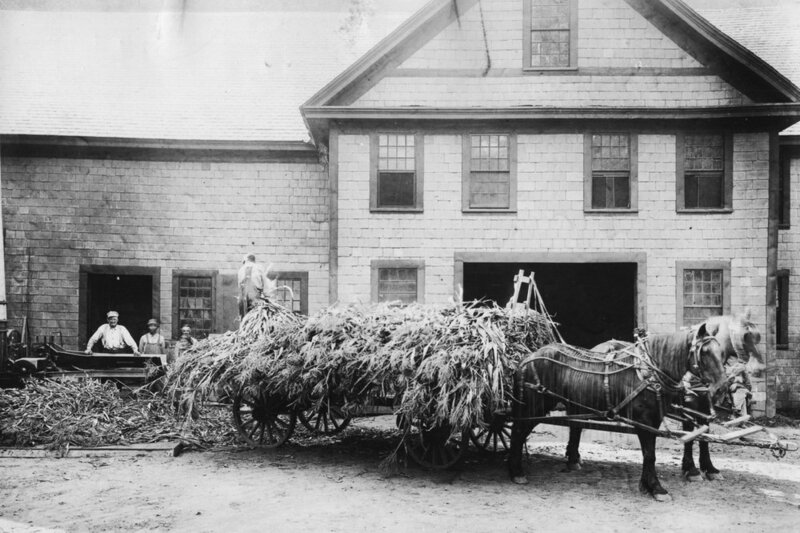 During the last half of the 19th Century, the Retreat Farm built its iconic Farmstead, a pleasing complex of eight then state-of-the-art barns. 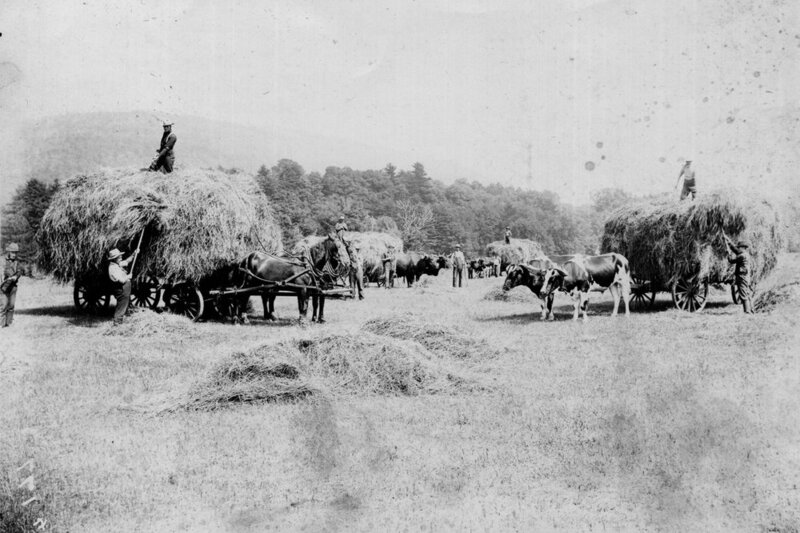 The Farm continued to innovate throughout the 20th century in both the humane, outdoors- augmented treatment of mental illness and innovative, institution-sustaining food and energy systems. 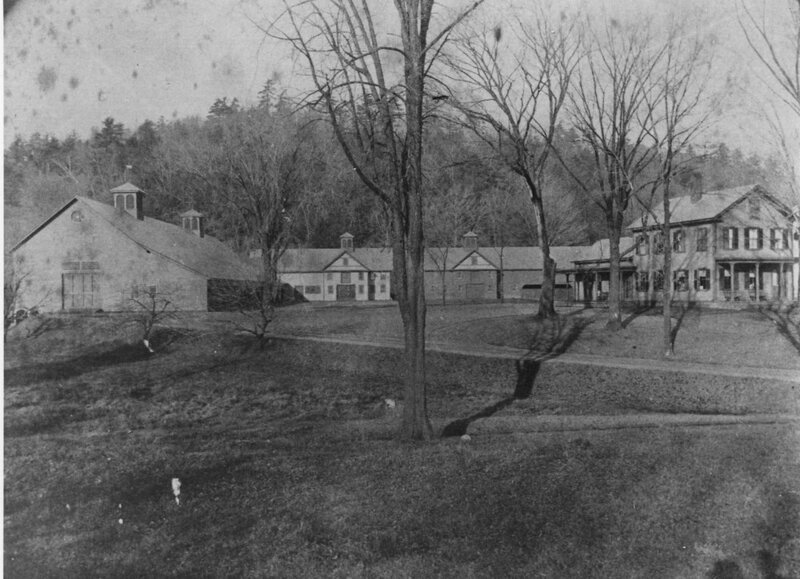 Late in the last century, changes in mental health practice, food service provision, and government policy eroded the viability of the Farm for Brattleboro Retreat. In 2001, the Windham Foundation took ownership of the property, joining forces with the Brattleboro Retreat, the Vermont Land Trust, Preservation Trust of Vermont, Vermont Housing and Conservation Board to preserve forever the remaining 612 acres of farm and forested land, the iconic farm structures, and the Farm’s founding principles. Now in its 180th year, with the formation of a new nonprofit entity and provision of substantial philanthropic capital, we expect an significantly accelerated revitalization of the Retreat Farm and its founding vision. While its physical survival has been assured, our challenge now is to ensure that the Farm, while still rooted firmly in its rich history, will play an exemplary sustaining and enriching role for individuals and the greater community throughout the 21st century — that it will continue to be a public-serving and well-imagined source of food and fuel, productive work, nature-inspired reflection, knowledge, recreation, and innovation.